Cancelled Shows, LotR, Dune, Star Wars... and Willow 2? Tons of TV shows received the axe in the past week. Most of them are shows that I watched and enjoyed so it’s a pretty dark time. But there is some silver lining in there. 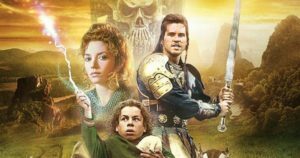 We received some news about Amazon’s upcoming Lord of the Rings series, Dune, Star Wars, and a possible sequel to the cult-classic fantasy film Willow. Designated Survivor, Lucifer, Quantico, The Exorcist, Alex, Inc., Taken, The Crossing, The Expanse, Great News, Marvel’s Inhumans, Last Man on Earth, The Mick, and Brooklyn Nine-Nine were all cancelled last week. 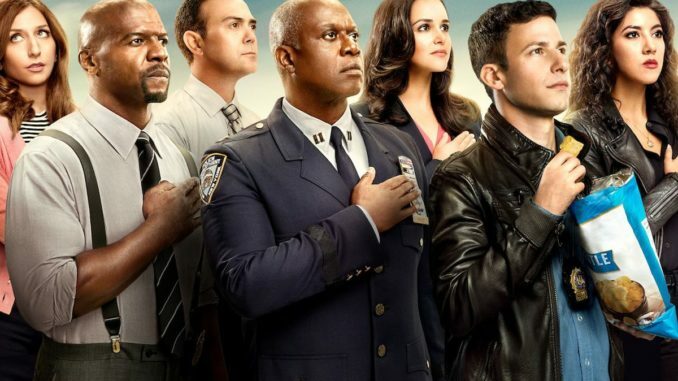 Some of those shows were being shopped around to other studios or networks with Brooklyn Nine-Nine being the first to quickly be picked up by NBC. Which is great because it is an absolutely fantastic show. The Expanse is also being shopped around after SyFy pulled the plug. Netflix, the traditional place where cancelled shows get a second life, has apparently passed on the series but Amazon is rumored to be interested. Fans of the series quickly created a petition and then rented a plane (seriously, a plane) that flew over Amazon Studios asking the Prime streaming services to save the show. One series that hasn’t been axed is Agents of S.H.I.E.L.D. which has seen rapidly dwindling ratings ever since it premiered. However, the ABC series has only been given a single, shortened final season delayed to next summer to wrap up the series. Considering that the events of Avengers: Infinity War are heavily rumored to affect the series, having season 6 premiere after the events of Avengers 4 makes some amount of sense as it could deal with whatever that fallout is. Interestingly enough, when S.H.I.E.L.D. originally premiered I suggested the series was designed to end with Phase 3 of the MCU. It’s probably just a coincidence, but I like thinking I called it. Amazon is spending a lot of money on creating a Lord of the Rings television series. Like, a LOT of money. What’s been interesting in the development of this series is that Amazon is bringing in New Line Cinema and Peter Jackson into the fold which begs the question to whether this will take place in the universe Jackson set up. Now the rumor mill is running full tilt with OneRing.net reporting two big pieces of hearsay. Firstly, it appears that Jackson and his crew are deciding between a DC universe film and returning to Middle Earth. They’ve also apparently found out what the prequel series will be about. According to the fan site’s Twitter account, the first season will center on Aragorn’s early years. [BREAKING] We have confirmed from multiple sources that @AmazonStudios new billion-dollar #LOTR series will open its first season centered on a young Aragorn. What I find interesting about this is that they’re being very specific that the first season will center on the character and not the series itself. That seems to hint that on of my guesses the new series could actually have more of a miniseries like structure. I’m still hoping for a Silmarillion series so I may just get that at some point yet. Eric Roth has written the first draft and then I worked on it on my side. I have not had such fun creatively since “Incendies”. I wish I could direct both movies at the same time but it would have been too expensive. We’ll do them one at a time. Villeneuve has previously said that the film would have to be made at least over the course of two movies and no one is surprised by that. 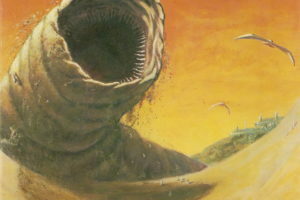 The book is notoriously dense and currently the best adaptation of it a three part SyFy miniseries that is 4.5 hours long — and some fans still think too much was cut out of that version. The book has a time jump in the middle of it making a great place to end part one of a two-part film. 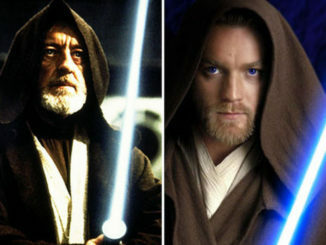 Star Wars: Kenobi to Shoot Soon? 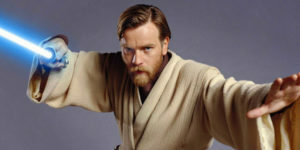 A Star Wars film about Obi-Wan Kenobi starring Ewan McGregor and directed by Stephen Daldry has long been rumored to the point that it’s pretty much a certainty. According to fanthatracks.com, the Star Wars: Kenobi film will go into production in 2019 for a 2020 release. This isn’t the first time we’ve heard news that a Kenobi film is just around the corner since back in February there was a rumor the film will be shot in Belfast in 2019 so that seems to track. 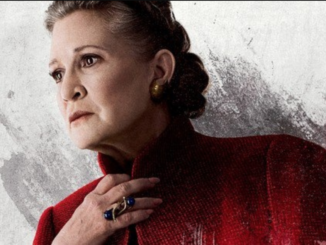 There has been no word on what film would premiere after Episode IX and the two announced trilogies are at least a few years away but there’s no way Disney would give the studio a year off. I thought about that movie a lot as I was working on Solo because there are certain scenes, especially around some of the Madmartigan stuff, was reminiscent of a character with that kind of swagger and bravado. And also some of the humor around some of the action in Willow was something I inspired [sic] to get into Solo. Considering that Willow was a Lucasfilm property and Howard returning to the production company to direct Solo you do have think something was said about possibly returning to that fantasy franchise. Especially with 80s and 90s films like Bill & Ted’s Excellent Adventure getting sequels recently decades after they premiered. I can’t help but feel that there’s something of a crucible coming in the near future in regards to film and television. It feels like the board is being swept clean and an upheaval is on its way — or maybe, it’s already here.